Soil pH is a key variable in soils as it influences a range of chemical processes. From the plant’s point of view, it mainly affects the availability of nutrients by controlling their chemical forms in the soil solution. While optimum pH range for most plants is between 5.5 and 7.0, tillage of acidic soils with low pH should consider the challenges involved with such plant growing environment. Haifa DKP™ combines robust P-K nutrition with an alkali reaction in the soil. 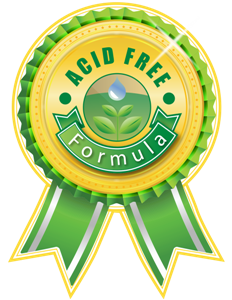 Haifa DKP™ provides an optimum solution for growers who are concerned about acidic soil conditions, and are looking for a highly soluble fertilizer with high purity levels. High solubility and low content of sodium and chloride make Haifa DKP™ an optimal fertilizer for Nutrigation™, mainly at the final stages of the crop growing cycle. It facilitates the production of dry matter, plant development and increases the Brix degrees while preventing or limiting vegetation growth. Highly pure, Haifa DKP™ ideally suits greenhouse crops and hydroponics. In addition, Haifa DKP™ can be used as an excellent plant nutrition source for foliar nutrition.